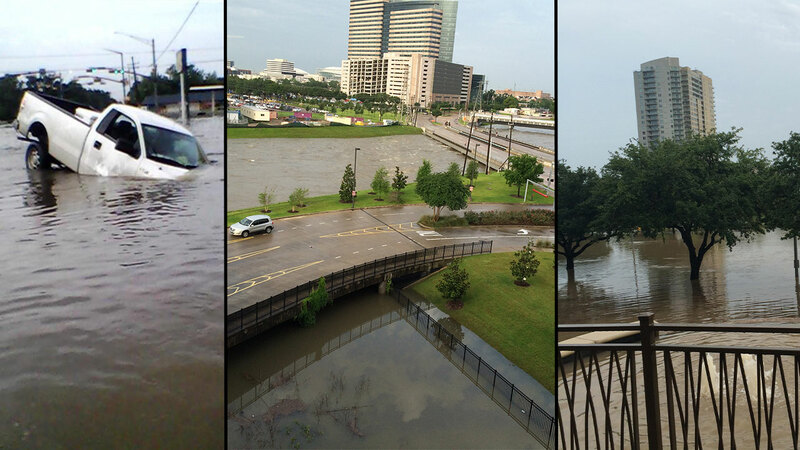 HOUSTON (KTRK) -- People along the west fork of the San Jacinto River are being told to watch out for high water. It's not an evacuation order but the flood control district put out a strongly worded warning to folks in the area, and it's not hard to see why. We took a ride with HPD lake patrol along the San Jacinto River, where the water rose 2 feet in just four hours. "It's because of the opening of the extra dams and the Lake Conroe area that flows into Lake Houston," councilman Dave Martin said. People along the west fork of the San Jacinto River are being told to watch out for high water. Since mid morning, the 5 gates at the Lake Conroe dam have been releasing water at the rate of 8,660 cubic feet per minute, and it will stay at that level until the lake on the other side of the dam falls one foot. "We definitely don't ant to flood the ones downstream and we don't want to flood the ones around the reservoir but our main job is to protect the dam," said Ronda Trow with the San Jacinto River Authority. The water goes into the San Jacinto River, which is rising from the dam release, rain and creeks that also feed into it. 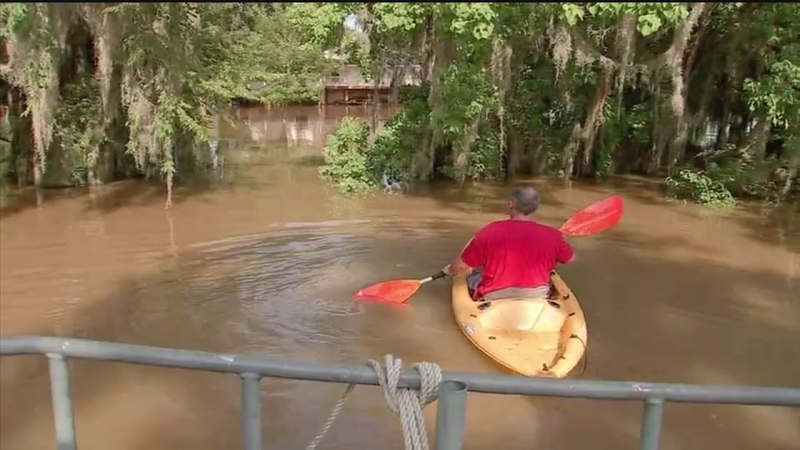 Authorities are worried most about those living on the west fork of the San Jacinto River, specifically the lower portion at Banana Bend and Rio Villa. That includes the Forest Cove, North Shore, River Crest and Belleau Woods subdivisions. Folks in the area should plan for street flooding and they're being cautioned that access will very likely be cut off with no way in or out for several days. Some folks who live in Forrest Cove along the water have already been forced out of their homes. Cars are almost submerged and houses are taking on a lot of water. People were kayaking in their front yards. 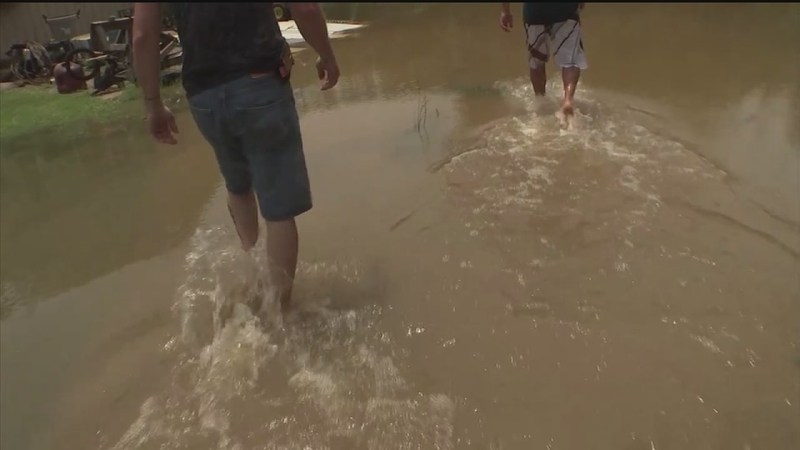 Neighbors are bracing for more flood waters. "We prepare lots of water food and fire just in case we need to cook outside First aid," resident Eloy Flores said. "I've been watching it creep up all day inch by inch every hour or so," resident Sam Feris said. We found Joy Rizzi moving in furniture as the water rushes to her back door. "My outdoor furniture is normally out of the patio but I didn't want to float away," Rizzi said. Boaters and skiers out at their own risk. "The current getting really strong and started to throw these things around so at that point we just started to turn around because it was too dangerous for this," boater Jeff Key said. And while the warning has been made and the concern for this area grows. "What concerns me is the forecast over the next couple of days is that this water level but hot behind us has not crested," Martin said. Some neighbors say they we just gotta deal with it. 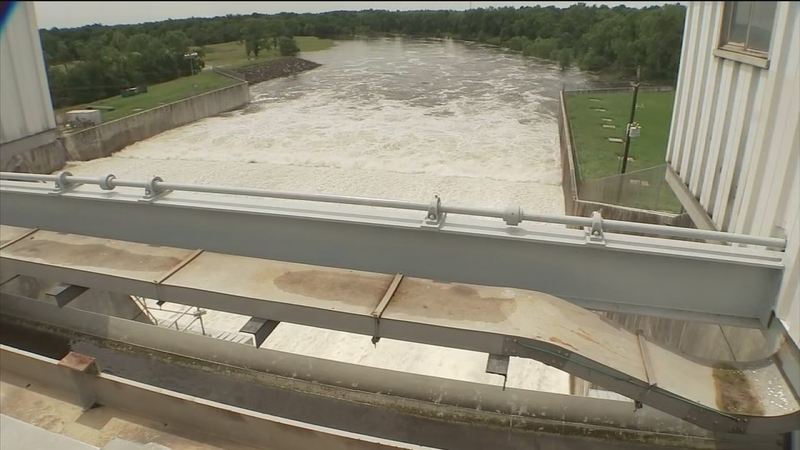 Experts and residents in Montgomery County discuss what they're doing to prepare for the rising waters as rain continues to fall and water is released from the Lake Conroe Dam.